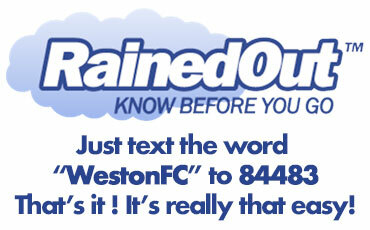 Weston FC is a 501(C)-(3) non-profit organization. At Weston FC, we provide competitive soccer programs for the Elite, Travel and Professional soccer player between the ages of 5 and 23. We are a USYSA (United States Youth Soccer Association) approved Club and a FYSA (Florida Youth Soccer Association) affiliate. Weston FC also holds the proud and elite distinctions of being Members of the US Soccer Development Academy and a Nike Premier Club. WFC operates on a self-funded basis and seeks sponsors to help fund the clubs’ operations which includes staff, coaches, travel, equipment, uniforms, etc. In addition, the club provides assistance to those players whose families undergo financial hardship and are not be able to pay the Club’s registration fees. The club offers sponsors a variety of ways to contribute and become involved with our club activities. There is a variety of club assets available which include banners on the playing fields, website banners, jerseys, practice shirts, social media, etc. Sponsors can be part of the WFC Sponsor program at three (3) levels: Gold, Silver and Bronze. The Gold level is for major sponsors that wish to become involved with WFC in a significant manner and make a longer term commitment with the club over more than a single season. The Silver level is a mid-range opportunity to be involved with the Club yet offers important representation. The Bronze level is an opportunity for smaller sponsors to work with WFC and is geared more for local businesses. A description of each level’s sponsorship package is available upon request. Finally, WFC owns and operates the Weston Cup & Showcase. The event is held each year on Presidents’ weekend throughout Weston and surrounding communities. The Weston Cup has become one of the premier youth soccer tournaments in the country with 688 participating teams in 2016 that flocked to the city from points throughout the United States and abroad. This event is ranked as a Platinum Tournament by GotSoccer.com. Sponsorship opportunities are also available for this event. Sponsorships can be considered tax deductible. Consult a tax advisor for specific details.